Make sure you download “Top 9 Things to Consider When Designing Your New Kitchen” before you begin your project! If you’re considering a kitchen remodel, you don’t want to be without our latest guide “Top 9 Things to Consider When Designing Your New Kitchen.” This extensive new document is a great tool for homeowners. Remodeling a kitchen should be an exciting project. But all too often, the fun quickly goes out the window and stress takes hold. Why? Maybe the homeowner didn’t prepare appropriately, understand all the ramifications of construction, or visualize the end result accurately. Or, what happens over and over again, the homeowner hired the wrong remodeling contractor. Our guide will help you avoid the pitfalls that can turn your project into a nightmare. 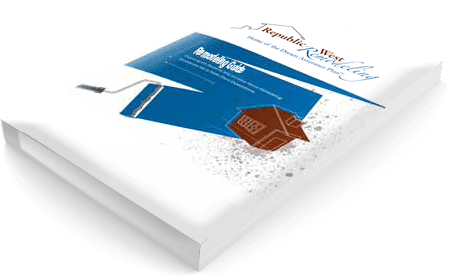 It provides tons of information on what you need to do to ensure a successful kitchen remodel. By following these nine steps, along with the accompanying advice, you can ensure your end result will be a beautiful kitchen exactly as you envisioned it, within the time frame and budget you expected. Step 9: Head Down the Home Stretch! Start educating yourself today! Download the “Top 9 Things to Consider When Designing Your New Kitchen”.